Fuyuki City a city surrounded by the ocean and the mountains becomes the setting for an age-old ritual. To realize the mythical Holy Grail, which is said to grant any wish from its possessor, seven masters are given seven heroic spirits chosen by the Grail. 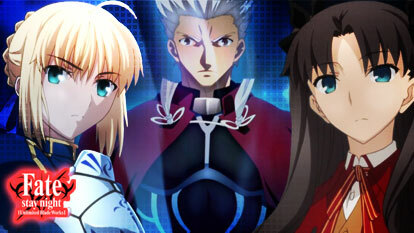 These heroic spirits or servants are: Saber, Lancer, Archer, Rider, Caster, Assassin, Berserker.